Inspire imagination and create a one-of-a-kind musical experience with the melodic Pegasus. Composed of 23 anodized aluminum keys and individual aluminum resonators, Pegasus delivers incredible, resonating always in-tune sounds of C major and A minor pentatonic scale. 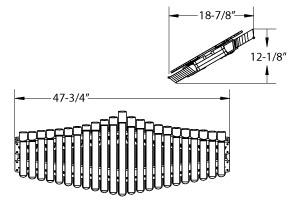 Offering an easy to use, inviting design that never produces a wrong note, this metallophone is perfect for any age or musical ability. 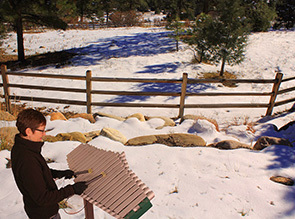 Pegasus is as much an interactive sculpture as it is a public use instrument—expressly engineered for frequent vigorous use, built with commercial grade materials that are ultra-durable and all-weather ready.